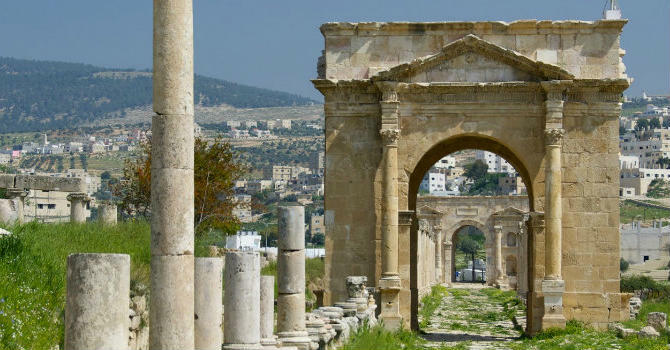 - Meet in Amman airport then transfer to your Amman hotel. - Our tour manager will advice procedures for your holiday time. - Overnight stay in Amman. - Morning pick up to explore in Jerash & the Dead Sea. - Morning pick up to wander Madaba, Nebo and Kerak. - Transfer to Petra, overnight stay in comfort of your hotel. - Breakfast then visit Petra, the biggest attraction in Jordan. - Dinner and overnight stay in Petra hotel. - Breakfast then relish Jeep safari in Wadi Rum with lunch. - Transfer back to Amman and transfer you to your hotel. - Drive to Amman airport for the flight back home.